Online Application for Advertisement 01/2018, 02/2018 & 03/2018 is already opened. Online Application for Advertisement 04/2018 will be opened at 11:00 AM on 23rd October 2018..
*Important Notice and Advt. No.- 04/2018 regarding recruitment for the post of Driver, Library Attendant, Order paper Distributer, Office Attendant, Office Attendant (Watchman), Office Attendant (Cleaner), Office Attendant (gardener), Office Attendant (Swiper) in Bihar Vidhan Sabha Secretariat. 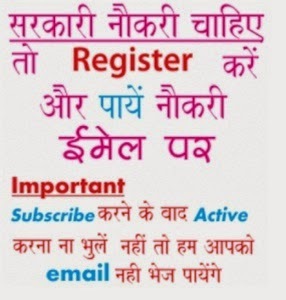 *Important Notice and Advt. 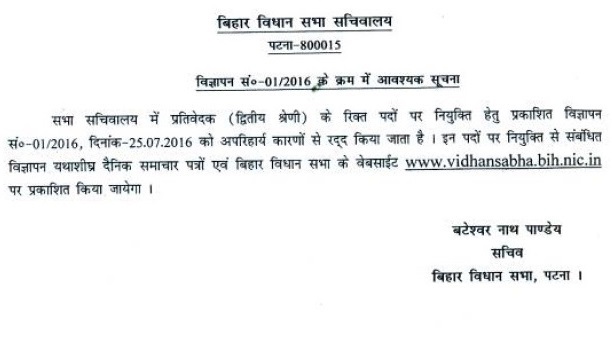 No.- 03/2018 regarding recruitment for the post of Reporter, Personal Assistant And Stenographer in Bihar Vidhan Sabha Secretariat. → CBT for Advertisement 01/2018 & 02/2018 will be conducted tentatively in 3rd to 4th week of December 2018. However Actual Test will be announced at two to three weeks prior to test dates. → There will be a Mock Test link provided to the candidate three weeks prior to test dates, so candidates can get familiar with Computer Based Test (CBT). → Admit Card will hosted online one week prior to test dates for the candidates. There will be NO physical dispatch of Admit Card to the candidates. Age as on 1st August 2018. *Important Notice and Advt. No.- 01/2018 regarding recruitment for the post of Assistant, Library Asstt., Research/ Reference Asstt., Urdu Asstt., Urdu Translator, Translator (English/Hindi) and Assistant Caretaker in Bihar Vidhan Sabha Secretariat. *Important Notice and Advt. 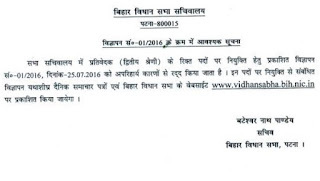 No.- 02/2018 regarding recruitment for the post of Junior Clerk in Bihar Vidhan Sabha Secretariat. The candidate should be Graduate in any Discipline from a recognized University or equivalent.